Top UAE developers introduced their own interpretations of luxury waterfront living as life on the beach emerged as a unifying theme among the key developments launched during the first day of Cityscape Global on Tuesday in Dubai. One of the big opening-day announcements was a waterfront community development called Marsa Meydan in Jebel Ali by Meydan Group. The project will feature a “revolutionary shading device” that will cover the marina during the summer months and create a climate-controlled boardwalk, offering an all-year outdoor destination. The developer describes the project as Dubai’s unique version of Los Angeles’ Newport Beach in Orange County, “echoing an affordable luxury lifestyle delivering the very best in leisure, relaxation and wellbeing”. Marsa Meydan will have a network of canals with waterfront villas with private pontoons and a mooring for a boat. There are also waterfront town houses and apartments. “Innovation sits at the core of the project as we embrace new technologies, which allow us to enjoy fresh cool air at any time of year, shading the marina and boardwalk, yet still delivering a sustainably responsible environment which prioritises the everyday experiences of our residents and visitors,” said Saeed Humaid Al Tayer, chairman and CEO of Meydan City Corporation. Hinting plans of catering to a broader market, Meydan Group also said in a statement that the project will “offer an array of lifestyle options to complement every budget”. Marsa Meydan will be a 15-minute drive from Al Maktoum International Airport. Dubai Holding also its own waterfront project in Madinat Jumeirah Living, a freehold luxury residential development in Dubai’s Madinat Jumeirah district, opposite the Burj Al Arab. The project’s residential clusters will be connected through shaded pedestrian walkways and jogging paths, while limiting car access to designated drop-off areas, basement and residents’ parking bays. 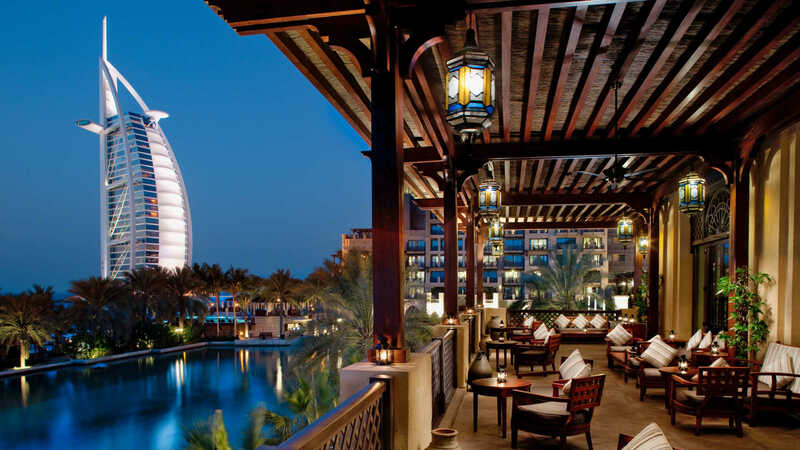 According to Abdulla Ahmed Al Habbai, chairman of Dubai Holding, Madinat Jumeirah Living is a natural extension to the entertainment, hospitality, retail, tourism and lifestyle proposition of the Madinat Jumeriah resort. “Dubai Holding is now elevating the master plan of the prime Jumeira district, taking it further to both address the demand of luxury living and to fully realise its potential as a truly holistic and world-class destination,” said Al Habbai. Located where Jumeirah Beach Road meets Umm Suqeim Road, the 3.85-million-sq-ft development will be directly connected to Souq Madinat Jumeirah via an air-conditioned pedestrian bridge. The project will be built in phases and will break ground next year, with the first phase expected to be completed in 30 months. Another ambitious project unveiled on Tuesday was Imkan’s AlJurf, which will feature serviced residences and villas alongside two marinas, private berths, a town centre, hotels, retail, a wellness resort and clinic. AlJurf will comprise three districts: AlJurf Gardens, Jiwar Al Qasr and Marsa AlJurf, each with its own defining architectural characteristics, the developer said. The project will be located along Sahel Al Emarat, the riviera development in Ghantoot between Abu Dhabi and Dubai. The project spans 370 hectares and 3.4km of azure beachfront. Also creating a noise on opening day was Union Properties, which announced Avenue District, a mixed-use urban destination in the second phase of the Dubai Motor City. With an estimated cost of Dh2.5 billion, Avenue District spans over 2 million sq ft and will feature “elegantly designed” residences and the flagship One Avenue Mall, 1-million-sq-ft lifestyle-focused retail venue. “We are committed to creating vibrant destinations, such as Avenue District, that feature the full spectrum of facilities with a focus on leisure and entertainment,” said Ahmed Yousef Khouri, board member of Union Properties. The first residential community in Avenue District, 313 Avenue, is a contemporary low-rise community that will comprise 67 studios, 156 one-bedroom apartments and 166 two-bedroom apartments. Nakheel announced a beachfront project on Deira Islands and town houses with private pools at the high-end Jumeirah Park community, while Deyaar Development launched an apartment tower, Bella Rose, in Dubai Science Park. On the international front, Japanese architectural and urban design firm Nikken Sekkei is presenting a $5.5-billion (Dh81.41 billion) mixed-use design project, which will be home to the tallest wooden skyscraper in the world and the tallest building in Japan. The project will be built in Tokyo, Japan, with the tower rising 350m. It is set to open in 2041.